Effectively removes even waterproof mascara and make-up without any rubbing needed. Protects eyelashes with its caring bi-phase formula. Does not leave any greasy residue. 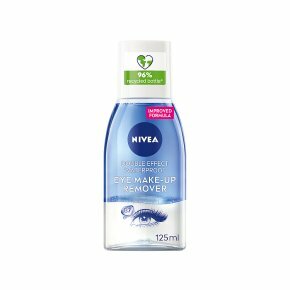 Effective eye make-up remover with a two-phase extra-strength formula, for removing even waterpoof mascara.